Are you fed up of feeling anxious, irritable and overwhelmed? Do you feel committed to taking control of your mind? If so, The Mental Wellbeing Toolkit Planner is for you! If you're awaiting, undergoing or finishing cognitive behavioural therapy (CBT), you'll find this tool particularly valuable. Learn how to apply the principles of CBT in your everyday life and see real and lasting change. Overview – Learn the common signs of stress and physical anxiety. Discover how developing your mental wellbeing skills rewires your brain and body. How to Calm Physical Anxiety (a.k.a. Autostress) – Experience a ‘light-bulb moment’ learning about the concept of autostress. Discover 18 activities for calming physical anxiety. Breathing Exercises for Reducing Stress and Physical Anxiety – Learn how shallow and over-breathing habits contribute to stress and physical anxiety. Discover our top recommended (free) tool for guided breathing exercises. The Power of Exercise – Learn why we argue exercise isn’t a healthy habit—it’s a basic need. Learn what studies suggest is the exact amount of time, type and duration of exercise needed to see noticeable reductions in anxiety. Overview – Learn the key differences between mental anxiety and rational thinking. Discover how changing the way you think creates real structural changes in your brain. Spotting Thinking Patterns Associated with Mental Anxiety – Learn 11 common types of cognitive distortions. Learn how to use cognitive restructuring to reframe them. The Worry Tree Exercise – Learn why rumination is one of the most common forms of unhelpful thinking patterns. 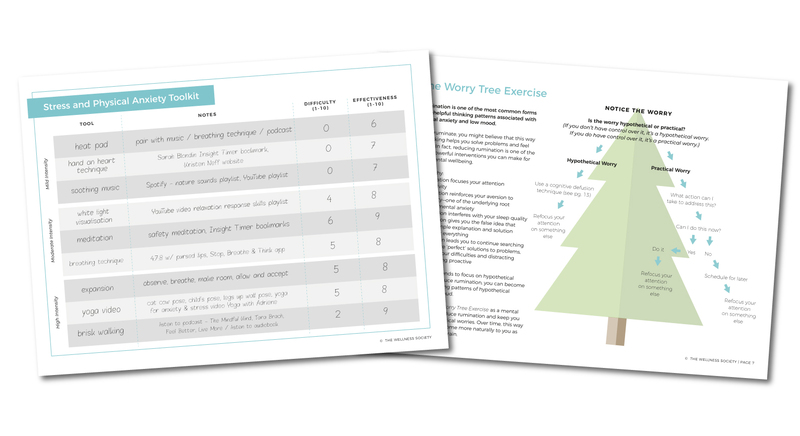 Learn how to use The Worry Tree Exercise to nip rumination in the bud. The BOP Method for Reducing Mental Anxiety – Discover how the CBT-based BOP Method can help you take control of your mind by changing the way you think. Use the provided worksheet when you’re feeling low or anxious to gain immediate relief. Anti-Anxiety Affirmations – 13 coping statements you can use to help ground yourself when you’re feeling mentally anxious with space to write down your favourite affirmations. Overview – Learn the common signs of low mood. Discover how mood tracking, cognitive defusion, positive psychology, and cognitive restructuring techniques can rewire your brain and body and help you become happier and healthier. Using Cognitive Defusion to Quiet Unhelpful Thoughts – Discover a helpful Buddhist analogy for changing how you approach your thoughts. Learn three simple yet powerful mindfulness-based cognitive defusion techniques you can start putting into practice straight away. See the Good Worksheets – Combat the tendency to overthink. Rewire your brain towards more optimistic and proactive thinking patterns. Low Mood Coping Statements – 12 coping statements for when you’re feeling low to self-soothe and cultivate self-compassion. Overview – Learn the common signs of overwhelm. Discover which brain areas you’re rewiring when you focus on what you can control, increase your sense of safety, and commit to reducing your stress levels. Focus on What You Can Control Worksheet – A helpful worksheet to help you refocus your attention and reduce the feeling of being overwhelmed. 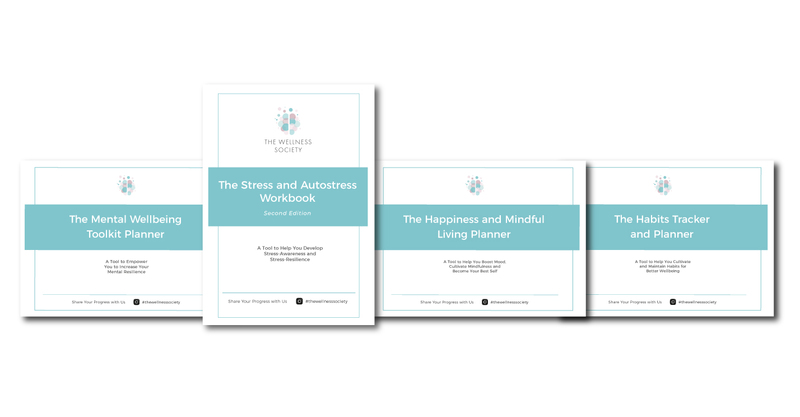 Alleviating Catastrophising Worksheets – Discover 5 powerful questions to help you defuse catastrophising thoughts and reduce panic. Overwhelm Coping Statements – 7 coping statements to ground yourself when you’re overwhelmed with space to add your favourite coping affirmations. Outline methods you'll experiment with that resonated with you from part one and our online toolkits. Test different methods, record how much they helped you and make notes on the process. 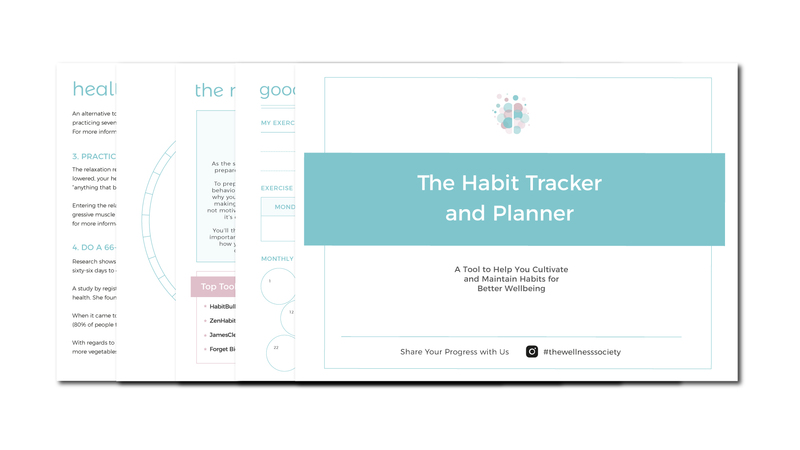 Compile your mental wellbeing toolkits for coping with stress and physical anxiety, mental anxiety, low mood, and overwhelm. Use the blank toolkit page to customise with any emotion or situational challenge. Sort tools according to mild, moderate and high-intensity emotions. Review your toolkits in times of distress and know exactly how to help yourself feel better. Gain insight into your progress with this monthly mood tracker. A journal worksheet allowing you to note what was discussed along with your thoughts, feelings, and key insight. Discover 18 powerful journal prompts to help you feel better in times of emotional distress. 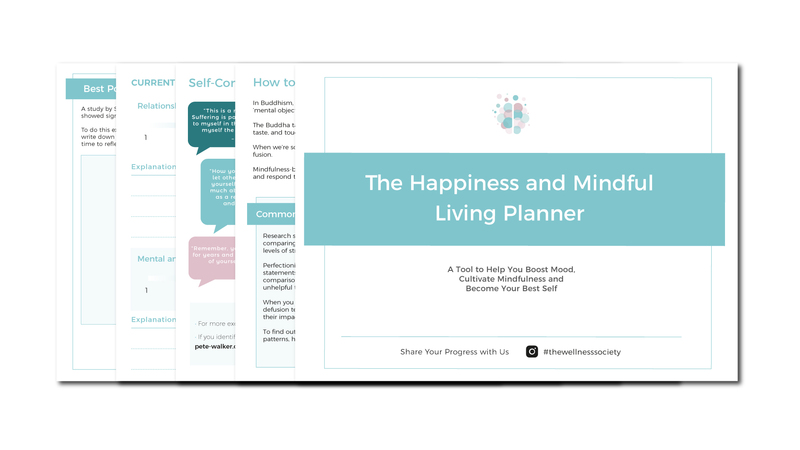 A digital download link for The Mental Wellbeing Toolkit Planner (29-page PDF) plus bonuses will be emailed to you immediately after purchase.